If you have grown a garden this summer or if you simply have an abundance of vegetables and fruits that you want to preserve for winter, there are many ways of canning those foods. Traditionally, canning was a way to keep foods that were abundant in summer and make them last until the garden came out again the next year. 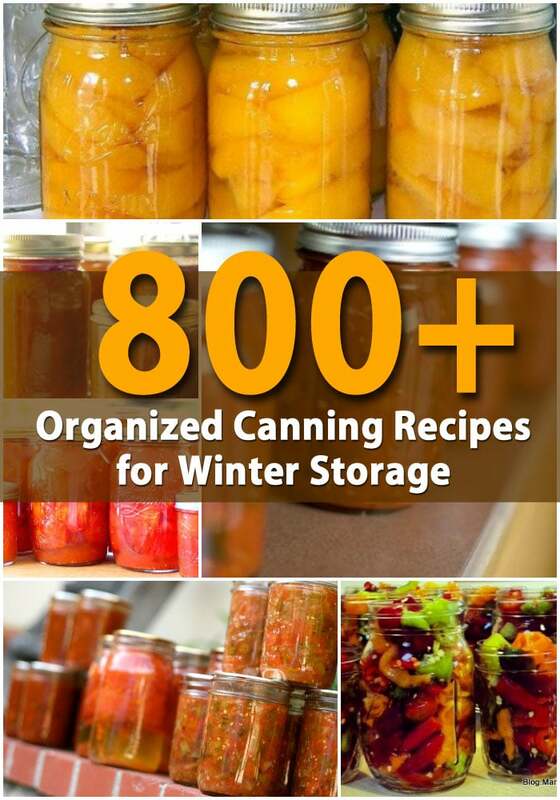 We have collected more than 800 recipes for canning that will help you to preserve those foods and give you many choices with regards to how you preserve them. There are many different ways to keep your foods fresh. Whether you are someone who stores food for harder times or you just have way too much leftover from the garden and you don’t want to be wasteful, these recipes will give you many ideas on how you can preserve those foods so that your family can enjoy them all winter long. Canning is a tradition in many families and even if it isn’t one in yours, you can learn how to can your fruits and vegetables to make them last longer and learn different ways of preparing them so that your cooking during winter is easier. Thanks for great info, my Mom & I can so much. So worth the effort & time, opening those jars of tomatoes in winter takes me right back to summer in the garden. You know what your eating, no preservatives, no chemicals, much healthier. Thanks again.